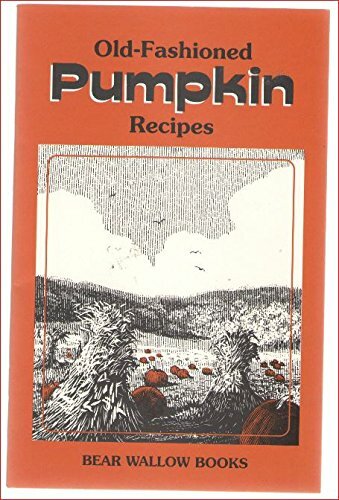 This book contains an assortment of wonderful old recipes for pumpkin pies, some simple and familiar, others more unusual, containing molasses or pecans, coconut or cream cheese. Other desserts include cakes, cookies, puddings and ice cream. If you're not in the mood for something sweet, try Pumpkin Soup, Pumpkin Fritters, Pumpkin Croquettes, or Roasted Pumpkin Seeds. Native Americans were raising, preparing and eating pumpkin long before the Pilgrims arrived in the new world. The nutritious food was seeded and baked, or cut in strips and roasted. Pumpkin pie was a later intervention! The new-comers brought new methods of preparing native foods, influenced by their European backgrounds. They also brought spices and a taste for sweets. Pumpkin would be turned into breads, puddings, cakes and pies, as well as soups and other savory dishes.